We build real homes for real people in Massachusetts and Rhode Island. Our modular homes are designed to your exact specifications. Durable, energy-efficient and luxurious, they are also built in less time and with less cost. When you walk into a Mod-Tech Home for the first time, it far exceeds your expectations. A more durable, more energy-efficient and more affordable home. 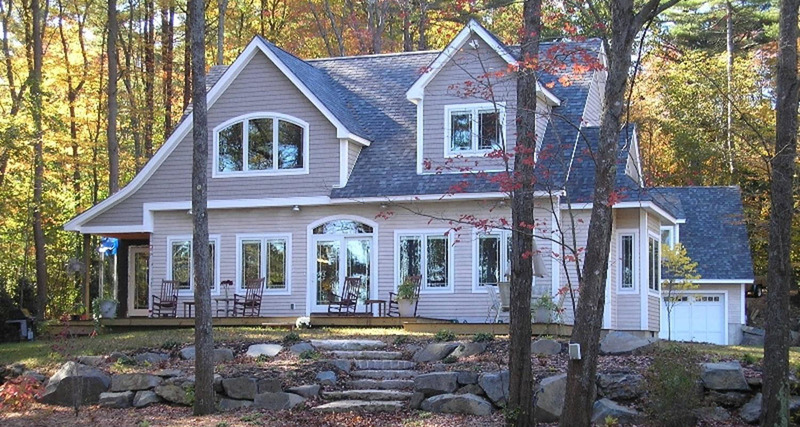 For prefabricated modular homes in Massachusetts and Rhode Island, trust Mod-Tech Homes, LLC. We have been a leader in the field for more than 20 years throughout metro-Boston, Cape Cod and the Islands, and anywhere east of Worchester. Learn more with a free, no-obligation consultation. Energy-efficiency, durability, lower costs, faster build times, less disruption on site – these are some of the common reasons to choose modular homes. You can save thousands of dollars on your home build by choosing Mod-Tech Homes, LLC. It’s easier and faster to build a home in our facility than on-site. These cost-savings are passed on to you. It has never been easier to create a home customized to meet your needs! Come into to our design center where you act as the lead designer on your project, customizing your home to your exact specifications. Our turnkey service can save you money, time and stress – it’s a low-risk way to get your home built quickly and efficiently! Mod-Tech Homes, LLC is the largest provider of modular homes in Massachusetts, Rhode Island and throughout New England. For over 20 years we’ve been building homes that reach new levels of excellence, from colonials to ranches, capes and everything in between. Mod-Tech Homes, LLC is a turnkey company taking care of your needs from feasibility to design to permitting, financing and completion, all with instant value and less disruption to your life. You can save thousands of dollars on your home build by choosing Mod-Tech Homes. Modular homes are built in a factory out of the elements by skilled contractors, which decreases cost and those savings are past on to you. Come into to our Design Center and customize your home the exact way you want it. This turnkey service can save you money, time and stress. Building a modular home is the best way to get your home built quickly, with little risk. Details: Enjoy free sandwiches, salad and drinks! We have been working with you for the past few months. They have made the entire process of designing and building a home extremely easy. The entire staff has been been very responsive and accessible for all our questions. John has been wonderful to work with, Vickey made the whole design process fun and Dana is always helpful and has some great ideas. We are very excited to move into our new Home! Great company to deal with! We have been working with you for the past few months. They have made the entire process of designing and building a home extremely easy. The entire staff has been been very responsive and accessible for all our questions. John has been wonderful to work with, Vickey made the whole design process fun and Dana is always helpful and has some great ideas. We are very excited to move into our new Home! Great company to deal with! Thank you so much for the lovely basket of holiday treats. It was a pleasure working with you on the construction of our beautiful home. "We would absolutely hire you again to build a house. You were fair, honest, and went the extra mile to make sure that we had a house we could be proud of." Thank you for your hospitality during our visit to your showroom on March 15. Our underwriters enjoyed your presentation on both modular homes and your beautiful sunrooms. We found both very educational and hopefully, we will be more aware the next time we see on of your projects. Our staff took quite a lot away from our day’s experience. The complete team at your operation systems was extremely helpful in our quest for continuing education of our staff adjusters. Once again, thank you and special thanks to your company for their hospitality. Thank you for your hospitality during our visit to your showroom on March 15. Our underwriters enjoyed your presentation on both modular homes and your beautiful sunrooms. We found both very educational and hopefully, we will be more aware the next time we see on of your projects. Our staff took quite a lot away from our day’s experience. The complete team at your operation systems was extremely helpful in our quest for continuing education of our staff adjusters. Once again, thank you and special thanks to your company for their hospitality. Thanks, thanks, thanks! We have a house/home to be proud of thanks to all of you. We love our home – it’s the cat’s meow. It is so unique and so appreciated. We are so grateful for all your hard work – our home is a showplace! Thanks, thanks, thanks! We have a house/home to be proud of thanks to all of you. We love our home – it’s the cat’s meow. It is so unique and so appreciated. We are so grateful for all your hard work – our home is a showplace! Thank you from the bottom of our hearts. I just wanted to let you know we appreciate all the hard work everyone has been doing so far and the house is coming along great, it is a pleasure working with all of you. Please do pass along our thanks to all for the work done so far. Hi guys, I just wanted to let you know we appreciate all the hard work everyone has been doing so far and the house is coming along great, it is a pleasure working with all of you. Please do pass along our thanks to all for the work done so far.